Brooklyn, NY’s Au Revoir Simone will release their first album in four years, Move In Spectrums, on September 24th, 2013 on the newly revived Instant Records. Produced by Violens’ Jorge Elbrecht, Move In Spectrums is the follow up to 2009’s critically acclaimed sophomore album Still Night, Still Light. The album’s first single, “Somebody Who,” has premiered today via Pitchfork – give it a listen! There are, of course, the obvious questions surrounding this album, such as: where have the three immensely talented, keyboard-wielding women of Au Revoir Simone – Heather D’Angelo, Erika Forster, and Annie Hart – been? Why have they not released an album since 2009? What’s this new album like anyway – has their sound changed? Obviously, we’ve got some answers for you. Following the self-release of their two well-loved albums, The Bird of Music and Still Night, Still Light, Au Revoir Simone simply felt they needed a break. 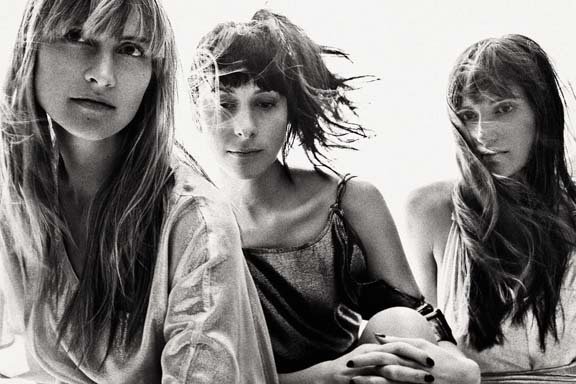 They had toured all over the world, been involved in exciting collaborations with the likes of French band Air and Johnny Marr, and became the favorite band of legendary director David Lynch in the process. They tirelessly gave their all to audiences around the globe, filling rooms from Tokyo to Reykjavik, from Montreal to Sao Paolo. And when the touring cycle ended, they decided to each take their own path, unsure where the band would end up in the process. For Heather, this meant finishing an environmental biology degree at Columbia University that she had started around the time of the band’s inception. For Erika, this meant releasing a gorgeous solo album under her name, Erika Spring. For Annie, this meant touring with the likes of Uninhabitable Mansions and Pursesnatchers. Projects and collaborations, such as scoring a short film by Giada Colagrande for Miu Miu, would come up and bring the girls back together again, but for the most part, the future of Au Revoir Simone was unclear. Individually, they started writing again, collecting vintage keyboards again, focusing on the incredible power of sounds and sine waves again. Eventually, they shared their creations with each other; the result produced the sort of excitement and magical chemistry that has always marked the friendship between these three ladies. They started playing together again, with all level of sonic experimentation happening, until they realized they were actually making a record. What commenced after that was the most intense, collective songwriting of their lives, revising and revamping every keyboard and vocal line until each song had a certain luster that matched the intensity and sheen of the band’s own passions. 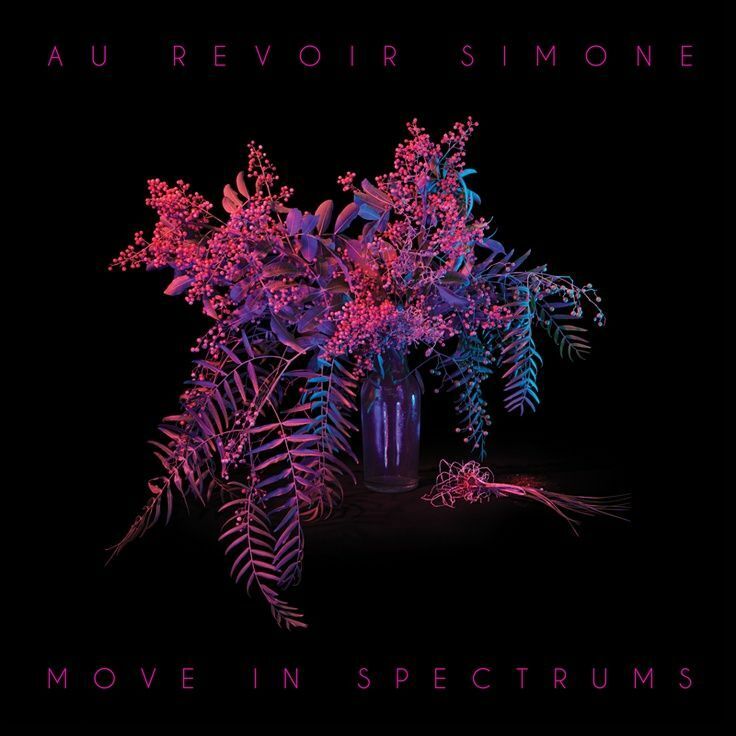 The result is Move In Spectrums, an album that – like its title – creates different melodic textures and aural colors via the finest songs Au Revoir Simone have ever recorded. One listen to Move In Spectrums confirms what you already knew but didn’t know how to say – that you missed this band and you’re damn glad that they’re back. Rather than self-releasing in the U.S. as they had always done, the band decided to partner with newly revived record label Instant Records, spearheaded by music industry master Richard Gottehrer. Gottehrer, a legendary producer, songwriter, and record executive, named the label after his original production company from the 1970s, which saw him producing the likes of Blondie, the Go-Gos, Joan Armatrading, and many more. The Instant Records of 2013 focuses on bringing innovative female recording artists to the forefront of the music scene, and few artists fit that description as well as the women of Au Revoir Simone.